Volume 1 Issue 1 Front Cover! 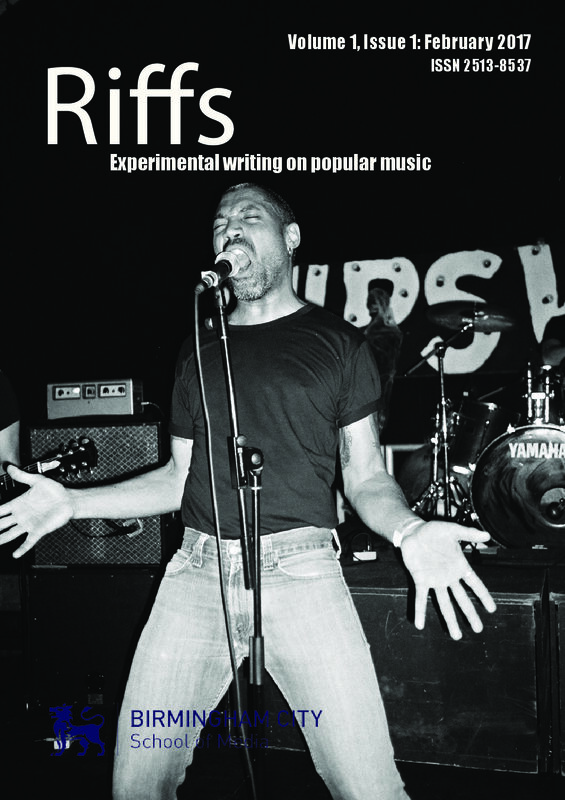 The first issue of Riffs: Experimental Writing on Popular Music is out tomorrow – but here’s our front cover to keep you going! Join us at our launch tomorrow (01/02/17) at Birmingham City University’s Parkside Building following the BCMCR (Birmingham Center for Media and Cultural Research) Research Seminar at 17:30.